Our partnership with the University of British Columbia's prestigious Museum of Anthropology (MOA) has enabled us to present a tribute to all things British Columbian. These rooms feature distinctive hemlock and cedar furniture, carved using traditional native techniques; walls reflect the soft muted colors of Pacific Northwest forests, while showcasing contemporary Northwest coast art. 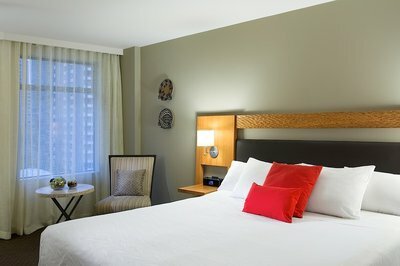 King or queen beds with goose down comforters wrapped in soft touchable fabrics complete the peaceful atmosphere, guaranteeing a peaceful night's sleep. All rooms are 100% smoke-free.